Paris is literally being weighed down by Love ! Last week, a portion of the city’s famous love-lock bridge, the Pont des Arts collapsed under the weight of the multitude of love-locks attached to the railings along the bridge. The collapsed portion has been removed, and for safety reasons, has been temporarily replaced by a piece of wood. 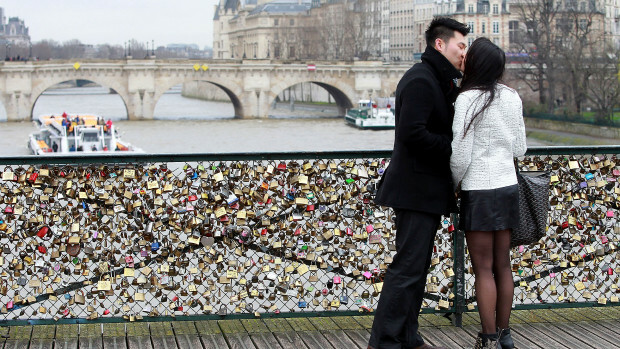 The city council has been at a loss about what to do with the increasing number of love-locks attached to the numerous bridges of Paris, starting from the Notre Dame region, all the way down to the Louvre. Parisians themselves, have come to dislike the practice, claiming it makes the bridges unsafe. I for one, have to wonder about the gazillion keys on the Seine riverbed, rusting away, leeching chemicals into the water. But apparently not worried enough, as Mr Wolf and I have already staked our claim to a piece of railing on the Pont des Arts. 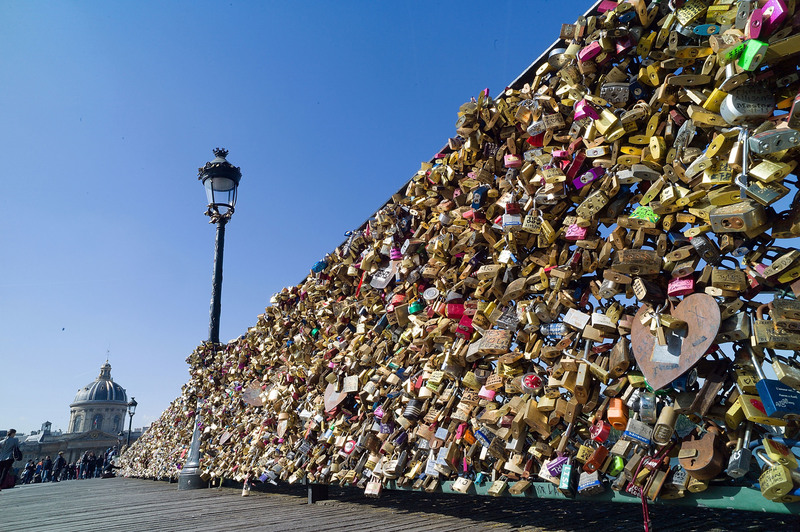 If you’re unfamiliar with the urban legend behind the love-locks… here it is: In order to ensure a lasting love, a couple inscribes their names/initials onto a lock and fastens it to the bridge’s rail. Then, together they throw the key into the River Seine. It has been said that as long as the lock remains fastened – its keys lost forever in the depths of the Seine- they are forever ‘locked’ in love, never to be parted. Makes me wonder about the thousands of locks that were removed and disposed of from the portion of the bridge that collapsed last week. Broken hearts around the world??? 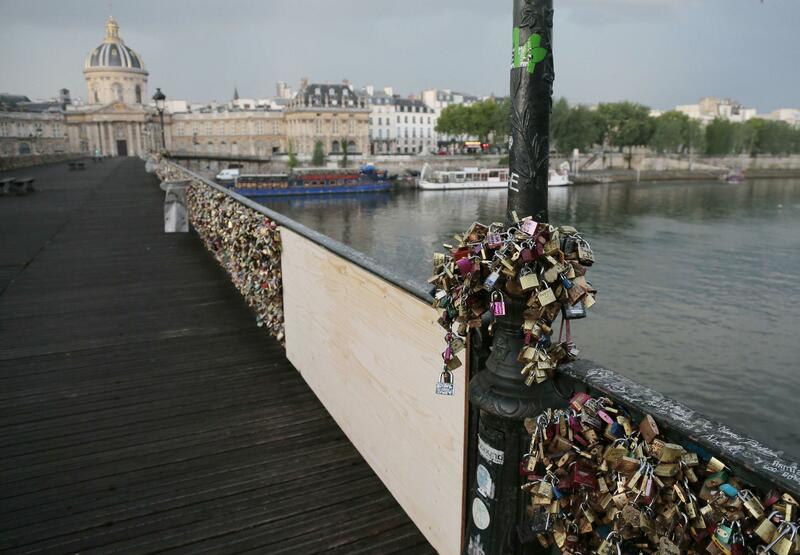 This entry was posted in General and tagged love locks, Paris, Pont des Arts. Bookmark the permalink. Loving this post! Really makes you wonder!